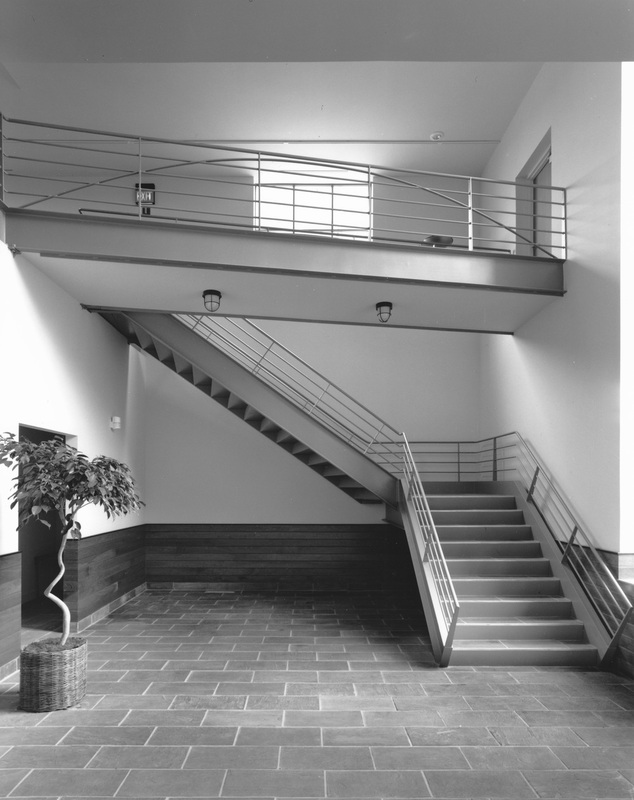 Our first major commission came in 1989, a large addition to the Fitchburg Art Museum in Fitchburg, Massachusetts. The original museum was created from a former stable in 1925. The new, and much needed, addition more than tripled the size of the institution. Our approach was to build a new free-standing building with a proper entrance and lobby, a meeting space, three galleries and ancillary spaces, which we connected to the existing museum by an eighty-foot enclosed bridge. The resulting exterior space between new and old buildings created a perfect entrance courtyard. We organized the new building as a two-story flat roofed structure with the three gable roofed galleries inserted into it rather like strawberries stuck in a cake. Because the three galleries were intended for traveling shows which often include works on paper, they could have no natural sunlight. We compensated for this by flooding the circulation spaces with light from large windows and skylights. The lobby features slate flooring, a steel stair and bridge, a wall of horizontal cherry boards, and custom designed light fixtures. The building’s exterior is clad in brick, but the galleries are identified as special by a checkerboard pattern of two colors of brick with blue tiles inserted in a seemingly random fashion. 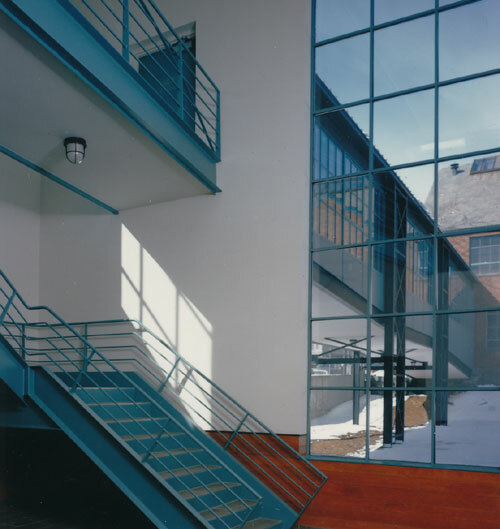 Taking a cue from Fitchburg’s vibrant industrial past, our building recalls the visual language of 19th century brick factories with exposed steel beams and trusses, and metal industrial sash windows.